Brad is a strong, clean-cut rancher in his early thirties, married with children. He loves spending a day on a horse. He knows cattle—how to pick them at the sale barn, how to work them, and how to manage the pastures in order to put weight on them. Ranching is his joy, what he lives and breathes. Where did this lifeblood come from? It’s clear that he is his grandfather extended into another generation. With emotion in his voice, Brad told me about his growing-up years. There had been good times with his father, but he always felt that he could never please his dad no matter what he accomplished. His older brother had always been the apple of his father’s eye. Most likely Brad would have turned rebellious and self-destructive except for one factor: as a young boy, he had a grandfather who loved and accepted him just the way he was. His grandfather was his hero, and that changed his life. Brad was the tag-along on his grandfather’s ranch. As he matured, his grandfather’s strengths and interest began to show up more and more in him. The relationship with his father gradually improved, but he said his brother is the one who’s somewhat like his father. Then, with a glint of pride in his eyes, he proclaimed, “And I am just like my granddad.” The similarities go much further than the love of ranching. 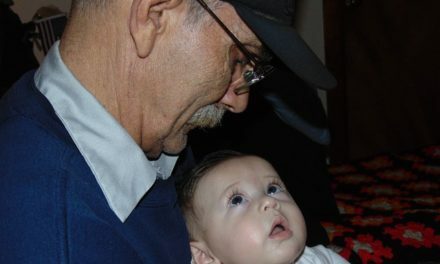 He holds his granddad’s attitudes, beliefs, and approach to life. His tenacity and stamina to face some of life’s difficult challenges came from his granddad. 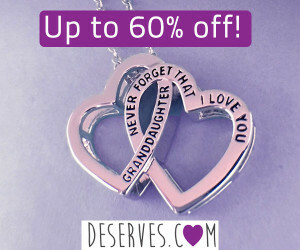 There are many others whose lives have been influenced and molded by grandparents. I have heard story after story of men and women whose lives would have looked totally different if it were not for the presence of their grandparents. 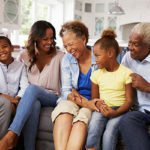 In some ways the influence of grandmothers and grandfathers may be different, but they are both there, and both have a powerful effect. 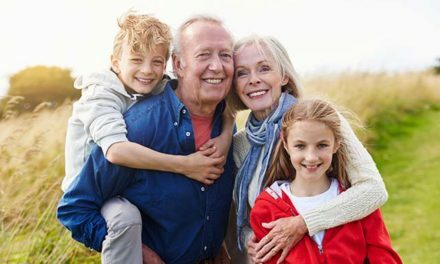 The generations are drawn together by a strong force—largely because of complimentary needs of their life stages—and it is activated by the arrival of the first grandchild. There is a large range of ages at which people become grandparents, so each relationship will be different. Today, few grandparents look like the white-haired old man on the mountainside that we read about in the book Heidi. Many grandparents are still busy with their careers. 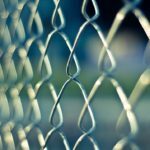 But many are at a point in life where the kids have left home, they are more established, more reflective, and life is slowing down at least a little bit. Usually they have time available to spend with grandchildren. Their life perspective shifts from looking at how far they have come, to how much time they have left. They begin to think about what they want to do with the rest of their lives that would be meaningful. They may have even thought about the idea of legacy. 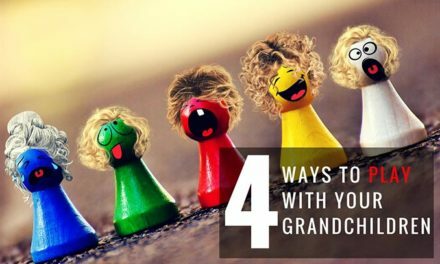 In interviews I found many grandparents had a “healthy obsession” with their grandchildren. They thought about them all the time, they called them just to hear their voice, their refrigerators were plastered with art work, and they had pictures of the grandkids all over the living room. Grandparents planned their lives around going to their events or going to visit them. Grandparents have an irrational love of grandchildren; that’s part of the beauty of the relationship. Link this with children who crave attention and thrive on someone showing interest in them, and you get that magnetic pull. Grandchildren soak up all the nurturance they can find. They love having someone who will play a game with them or look at the book they are reading or will listen to them interpret their latest drawing. For example, last week two of my grandsons begged me to go up in the woods with them to see the latest fort they had built out of a few sticks and limbs they had gathered. They were excited to have someone take the time to see what was important to them and what they had accomplished. They glowed at my simple act of observing their Daniel Boone lean-to. These complimentary roles—their need for attention and my having the time and interest to enter their world—pull the generations together. Beyond achievement, grandchildren desperately need someone who thinks they are wonderful just for existing. I had one grandfather tell me that whenever his grandson comes over, the first thing he says is, “Come here, boy, let me lay my eyes on you.” After admiringly looking him over, he then gives him a big hug. I think that is called unconditional acceptance. Other than grandparents, where do we get unconditional acceptance? Parents are busy raising their children and correcting them, as they need to do. They are in the corrector role, vigilant about looking for what needs changed and bringing discipline to those situations. They feel the pressure to properly raise the children. 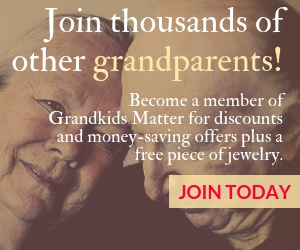 Grandparents feel much less pressure. 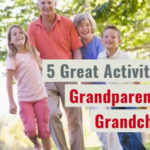 Grandparents are more in the “just enjoy being there” role. This can be seen when the whole family goes out to dinner. The parents are concerned: Did Susie eat her vegetables? Is she showing proper manners? Did she drop food on the floor? Is she climbing all over the booth? On the other hand, her grandparents are just enjoying the chance to be there with her. Parents and grandparents both play vitally important roles, they’re just different—and Susie can feel the difference. 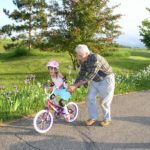 That love and unconditional acceptance gives grandparents unique opportunities to influence grandchildren. It happens through the power of the relationship and all the modeling and teaching—both formal and informal—that goes on, like in my example with Brad, the rancher. What do you value that you might be able to pass on to the grandkids that can make a difference in their lives? Are there needs you see that you might be able to help meet, even if you can’t do everything? Do you regularly show them unconditional acceptance, where you love them just as they are? Have you considered changing some of your routines in ways that might even boost your input in their lives? If you could change one thing in the time you have with them, what would it be? Those of us who have grandchildren think grandparents are the greatest invention of all time. We just need to appreciate the power of the role we have been handed and enjoy the opportunity we have to do something of significance with it. Judd Swihart and his wife Nancy are parents of three grown children and grandparents of eleven grandchildren. 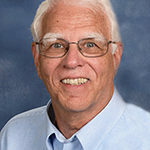 Judd has conducted research on the grandparent-grandchild relationship for his Ph.D. dissertation, and he’s a member of the Advisory Board for the National Association of Grandparenting. He and Nancy have individually authored or co-authored six books on family relationships. 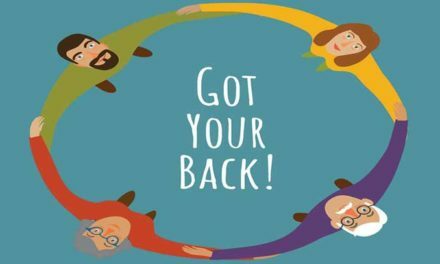 PreviousQuick Thoughts for Grands: Driving your Family Away?